Here’s your friendly reminder that behind every great (and terrible) game you play, there’s probably a director, a developer, and a few designers who have shed blood, sweat, and tears to bring it to you. Cory Barlog, the director for 2018’s Game of the Year frontrunner – God of War – decided to switch on his MacBook camera and take a look at the reviews for a project that has consumed the last five years of his life. Grab a box of tissues and take a look. Well, now’s a great time for allergies to act up in both of my eyes. 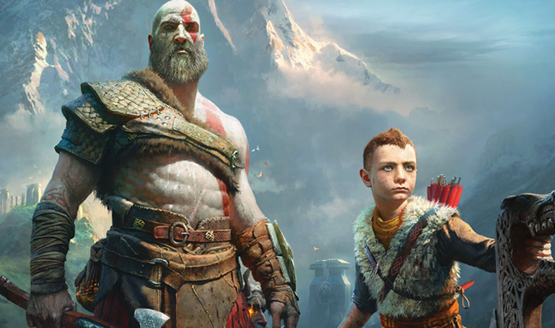 Cory Barlog clearly has given a lot of his life to the most recent entry into the God of War franchise, and tries to squeeze out a few quick acknowledgements between sniffles and tears. If anything I’m hearing about God of War is true, it’ll probably make the players themselves react similarly at some points throughout the story. I’m looking forward to sharing the emotion with Cory real soon when I get my hands on a copy.